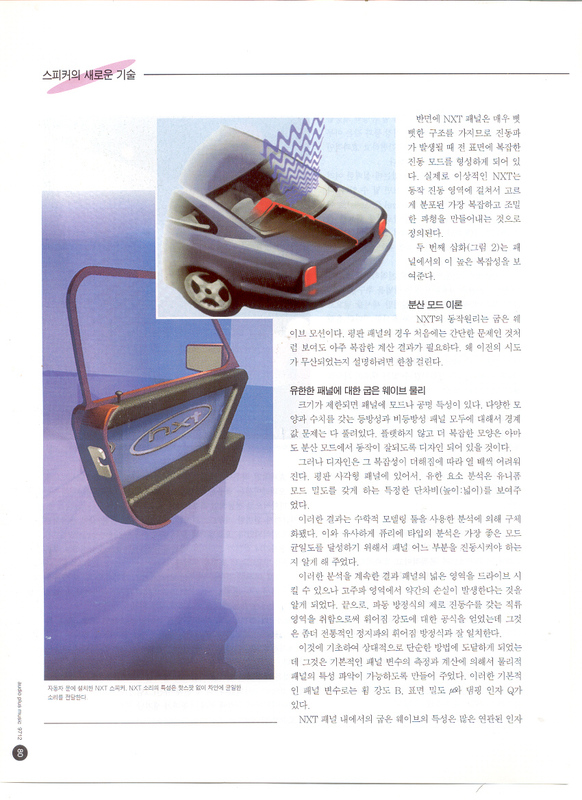 스피커시스템에 대한 새로운 기술 개발은 끊임없이 이여지고 있다. 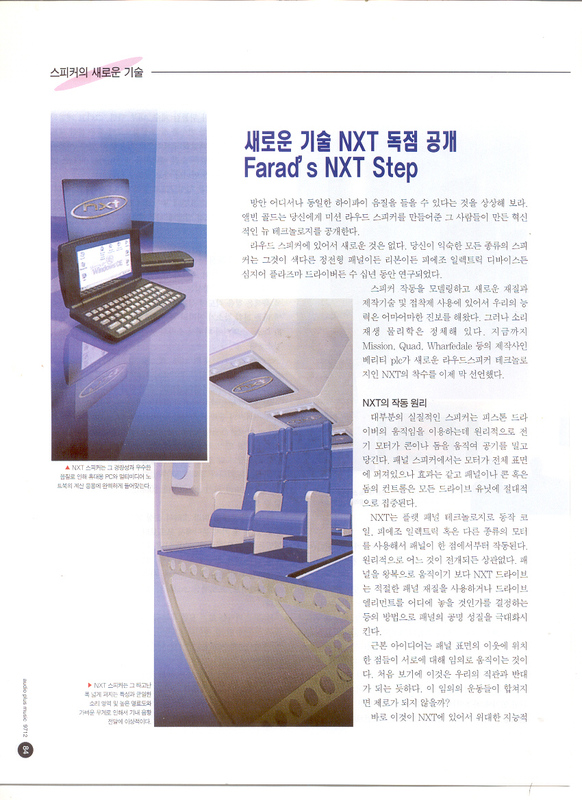 이중 우리가 관심을 갖고 지켜보고 있는 신기술로 이제는 어느 정도 자리를 잡아가고 있는 NXT(New Transducer Technology)가 새로운 면모를 갖춘 시스템들을 소개하고 있다. 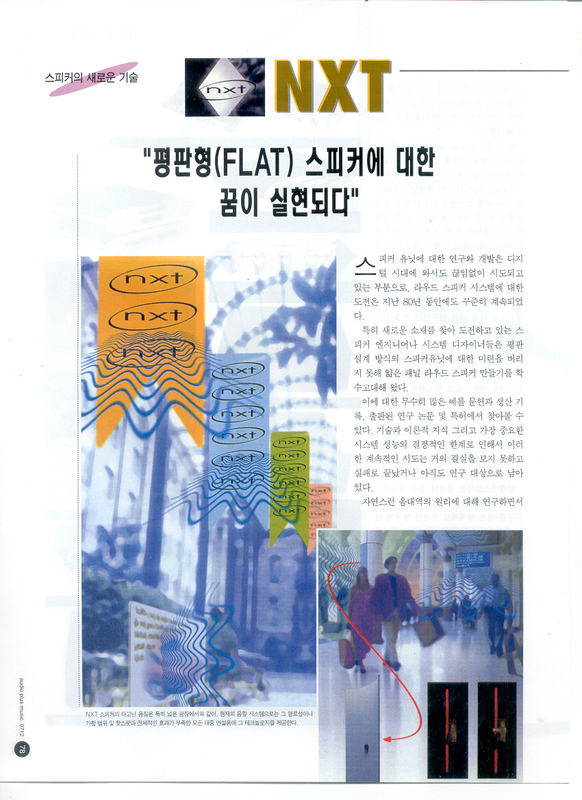 이 스피커 기술은 1996년 버라이트 그룹(Verity Group/영국 미션사, 와피데일사, QUAD사, 등)에 의하여 설립된 New Transducers Ltd 즉 현재의 평판형 스피커 메이커인 NXT사가 내놓은 분활 모드 방식을 개발 소개하면서 시작되었다. 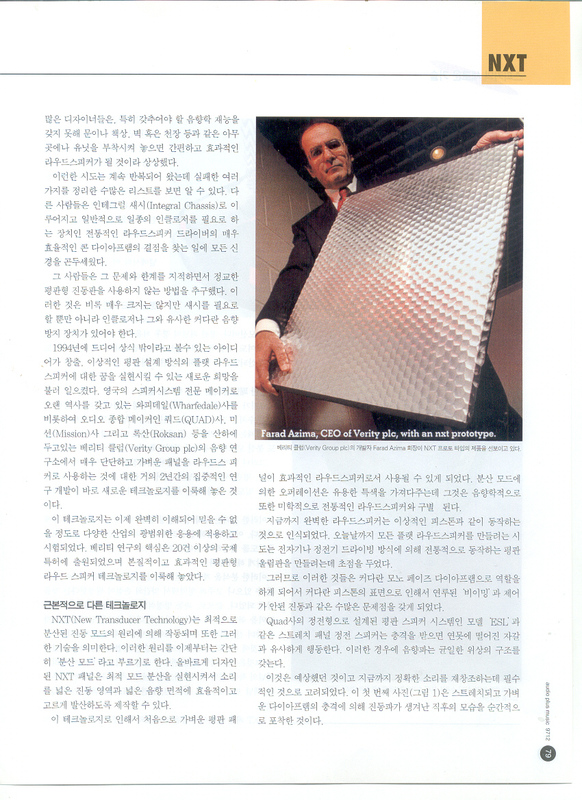 이는 1991년 영국 국방과학 센터의 켄 헤론 박사(Dr Ken Heron)의 특허를 근거로 한 것이다. 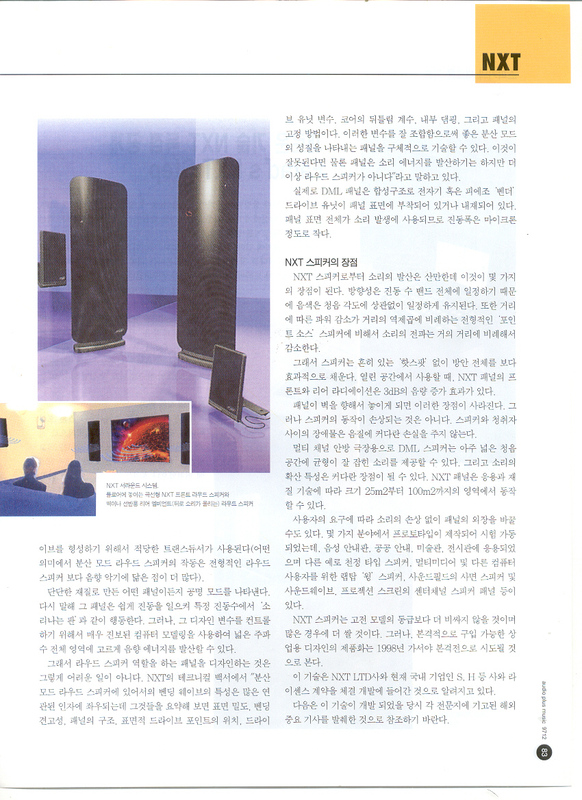 1998년 Benwin사에서 세계 최초로 DML(Distributed-Mode Loudspeaker) 플랫 패널형 스피커시스템을 사용화 했다. 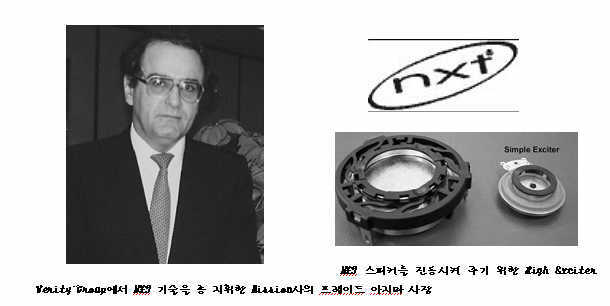 다음은 NXT 스피커에 관한 기술적인 모든 이론과 제품에 대한 자세한 기초 상식을 참조해 주시기 바랍니다. 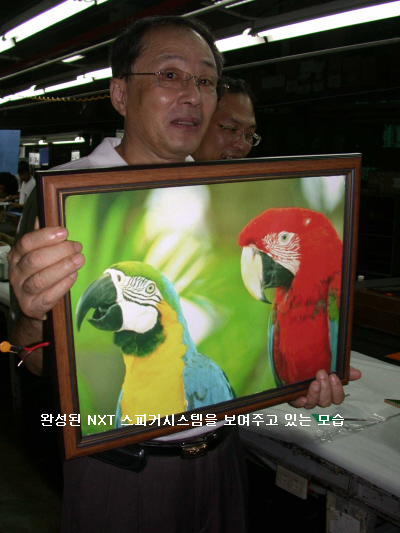 NXT - 하이파이 스피커의 혁명이라고 할 수 있습니다. 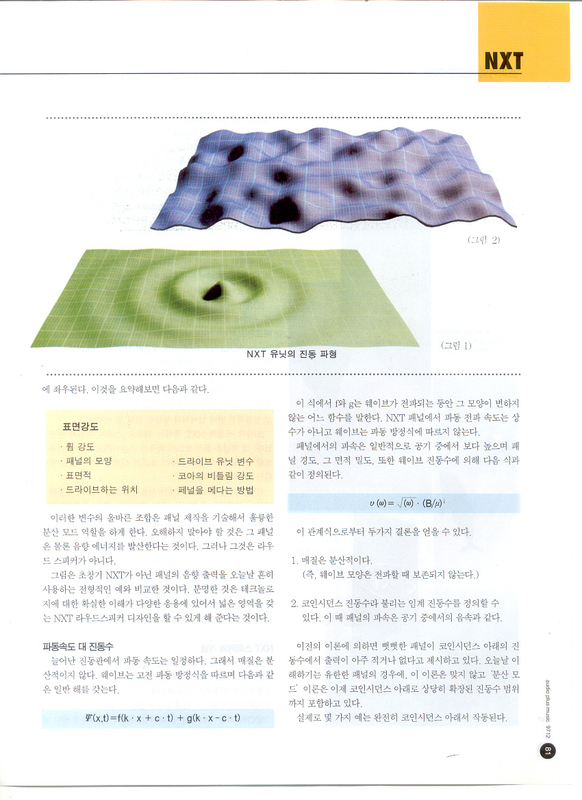 플랫 패널을 사용하여 두께가 거의 밀리미터 단위 밖에는 되지 않지만 뛰어난 사운드를 재생합니다. 이 라우드패널은 벽에 걸 수 있는 아무도 모르게 감쪽같이 속일 수 있는 스텔스 스피커입니다. 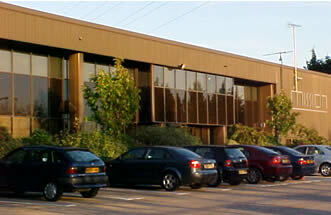 Work on NXT technology began in the mid 1990s, after a joint project with the military yielded some interesting results. When investigating sound cancelling technologies inside helicopters, it was discovered that by stimulating the right kind of material with an 'exciter', you could produce sounds with all the characteristics required for music reproduction. After several years of research, huge investment and some very clever mathematicians, a formula was devised for calculating the ideal position of exciters on any two or three dimensional objects to produce a complete frequency response from the panel (although bass response is limited by panel size). The panel essentially works like a soundboard in a piano, with the sound coming from the entire surface of the panel rather than one specific point. One result of this is the sound volume decays very slowly as you move away from the panel. Also, the sound is more ambient and less directional. This, quite apart from the fact they can be made virtually invisible, makes them uniquely suited to several applications. LoudPanel (TM) system is the most affordable and simplest way of getting the benefits of NXT technology in your home. These completely flat loudspeakers can have the picture of your choice stuck to the surface. A particularly useful application is as surround speakers in a multi-channel system. The ambient nature of the sound lends itself perfectly to this application, as well as reducing the visibility of the rear speakers – contributing significantly to domestic harmony. 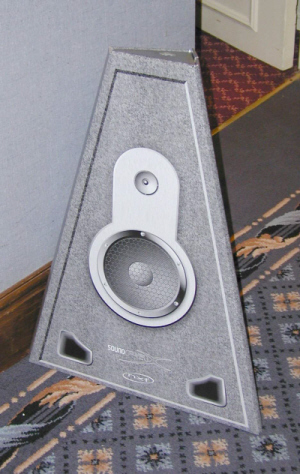 As far as NXT speakers go, these are the best value on the market and achieve the ambition of virtual invisibility! The sound produced by the Panel comes from the entire surface of the board – not just a central impluse, like that produced from a pistonic speaker. A much wider listening area and higher ambient level are just two of the advantages LoudPanels and Loudman have over traditional loudspeakers. The exciters bonded to the surface of a specific designed laminate panel cause it to bend and flex. The board acts rather like a piano soundboard and amplifies the sound to normal listening levels. And the positioning of these exciters dictates exactly how the board responds to particular frequencies. The NXT system provides a computer model that can predict the ideal location of exciters on a panel surface to produce a flat and extended frequency response. The way such panels work means it can provide consistent sound pressure levels over a wider listening area, because the sound is produced by longitudinal waves across the entire surface of the panel and a maximum excursion of only a few microns, the resulting audio waves are entirely different in nature. LoudPanel can be placed anywhere, even in L-shaped or irregular rooms, at different heights or orientation. 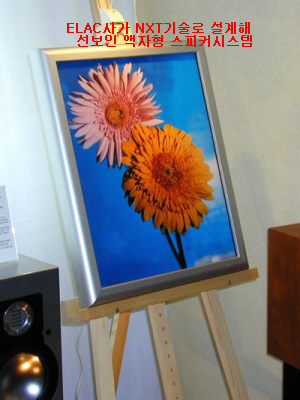 Your own pictures or favorite photos can be mounted to the surface with spray adhesive to form a complete bond, and your speakers just blend into your surroundings.